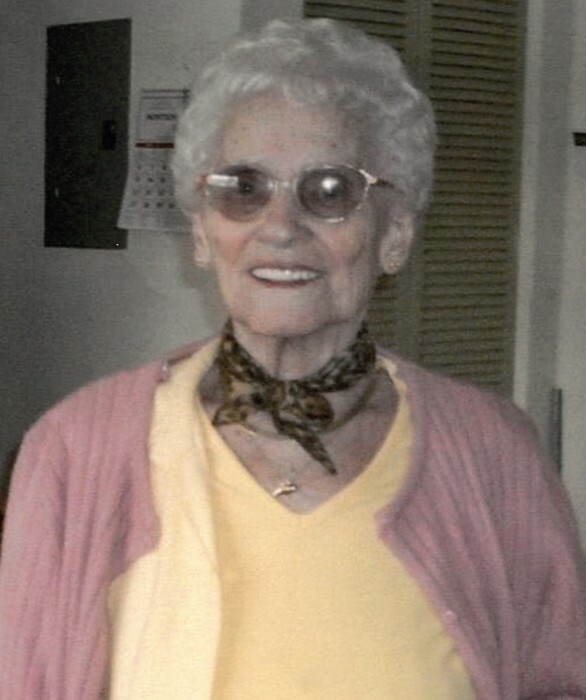 Obituary for Frances M Evans | Sykes Funeral Home & Crematory, Inc.
A Celebration of Life service for Frances Marie Evans, age 97 of Clarksville, will be Tuesday, January 29, 2019 at 1:00 PM at Sykes Funeral Home. Burial will follow in Highland Cemetery in Guthrie, KY. The family will receive friends on Tuesday, January 29, 2019 from 11:00 AM to 1:00 PM at the funeral home. Frances departed this life Friday, January 25, 2019. Frances is preceded in death by her husband Goble Evans, children; Paul Evans, Barbara Gail Binkley, and Ernestine "Tina" Britt, a brother and serval sisters. She leaves to cherish her loving memory her children; Christine Popp, H.T. (Carol) Evans, Ronnie Evans, and Lonnie (Judy) Evans, sisters; Helen (Larry) Fortino, Laverne Weakley, and Virginia Wolard, and many grandchildren and great-grandchildren.